Sentry continues as a proud partner in National Health IT Week - Sentry Data Systems, Inc. Sentry continues as a proud partner in National Health IT Week - Sentry Data Systems, Inc. 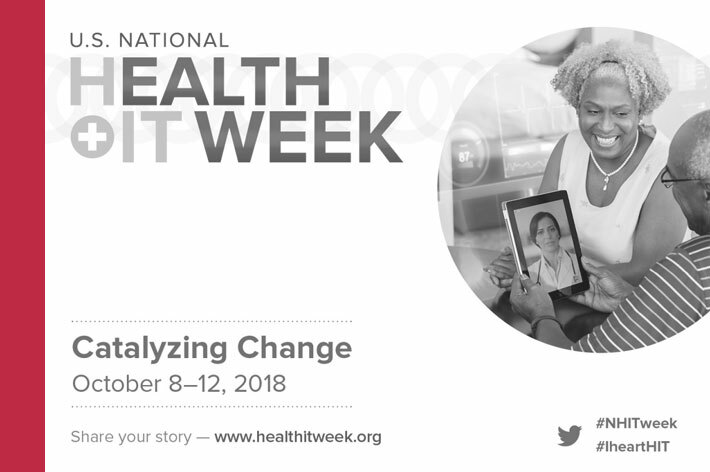 This October 8-12, Sentry is once again a proud partner of U.S. National Health IT Week (NHIT), focused on catalyzing actionable change within the U.S. health system through the application of information and technology. Initiated in 2006 by the Healthcare Information and Management Systems Society (HIMSS), National Health IT Week has emerged as a landmark occasion for using health IT as part of the overall solution to improve America’s healthcare as a bipartisan, federally led, market-driven initiative. In recognition of the NHIT Week theme, Catalyzing Change, Sentry will hold an employee celebration on October 11 from 3pm – 4pm at its corporate headquarters. To learn more about National Health IT Week, visit www.healthitweek.org.